Vampirella: He Started it, but I Finished it! Most of the time, I start and finish my art digitally, and almost always as vector art. Sometimes, to get a more organic look, I will start with a pencil sketch that I scan in and then render the vector-art over that. I have also been trying more recently to do more completely hand-drawn from start-to-finish works. All of these processes yield different looks to the final art. One thing I had not done, prior to this weekend, was ink over the pencils of someone else. A conversation on the Digital Webbing forum inspired me to give it a go. In a case of fortunate timing, someone on the forum posted a nice high resolution scan of an Adam Hughes Vampirella sketch. I am a fan of Adam Hughes work, so this felt like a good thing to tackle as my first attempt at finishing the pencils of someone else. Famously, comic book inkers don’t always get the credit they deserve. Fortunately, thanks to the Internet, there are numerous examples out there of various inkers finishing the same penciled original where you can get a really good idea of just what each individual inker brings to the table. Also, some pencillers lay down more detail than others. Some teams of penciller + inker work better than others, as each compliments the other’s style in a more cooperative way. Part of what led me to this experiment was sometimes being dissatisfied with my inking of my own pencils. I wanted to see what it might look like mixing my instincts with someone else. Look for more of these collaborations as the mood strikes me. Please let me know what you think, and remember, if you’d like an original commission by me or would like to hire me as an Illustrator, please use the Contact page and let me know as much as you can about your request. 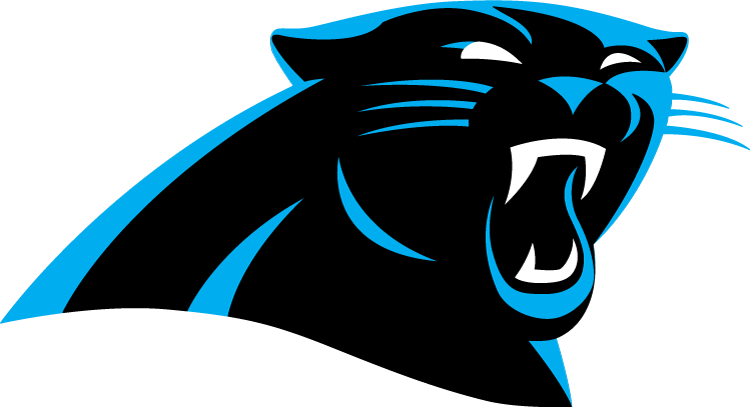 Congratulations to the Carolina Panthers for making it to the Super Bowl this year! Only one loss all season, and that to a team in their division with whom they split games… so basically they beat everyone on their schedule so far at least once. That, and the itch to draw, prompted me to recreate their official NFL team logo this week. It is fun to design new logos, but I also enjoy recreating vector versions of logos that I like. Sometimes these things also sneak into comic strips or parodies that I do, so don’t be surprised if you see this pop up elsewhere now that I have a clean rendered version. So… I actually drew this back in December. 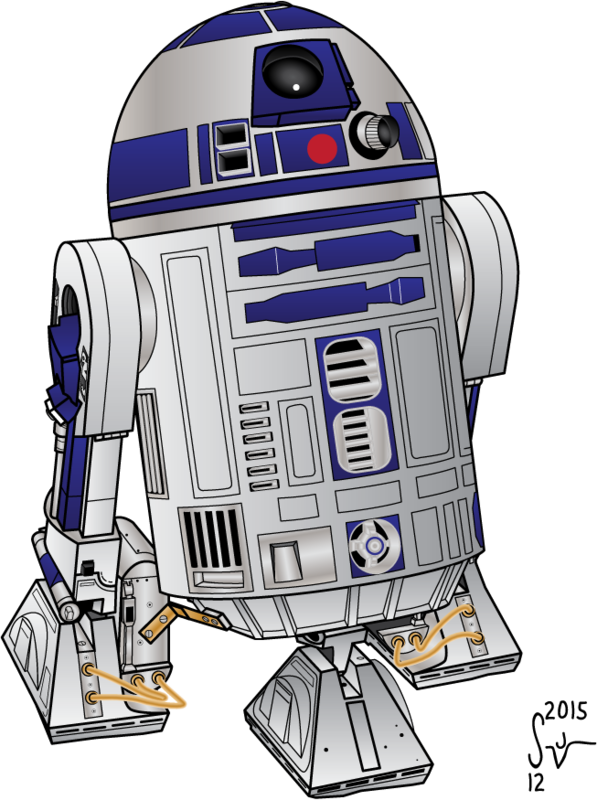 I was inspired, admittedly, by the new Star Wars movie that came out to finally tackle R2-D2. This was every bit as difficult as the AT-AT I drew earlier last year and the Dalek I had drawn prior to that. In fact, I’ve always thought R2-D2 and Daleks might be distant cousins! Many of you have already seen a smaller version of this, because I already used it in a Fringe Kisses cartoon last year. That’s how I roll with these things. Once I have a nice clean vector rendering of a thing, I then try to find other cool or funny uses for them. One day I’ll probably have to draw a C-3P0 to go along with him, but that’s for another day!